petition: Congress, Puerto Ricans Are Americans and They Need Help Now! Congress, Puerto Ricans Are Americans and They Need Help Now! Update 4/18: An island-wide blackout has struck Puerto Rico, affecting more than 3 million people who are still struggling to recover from the devasation of Hurricane Maria. Congress must act now to help our fellow Americans. 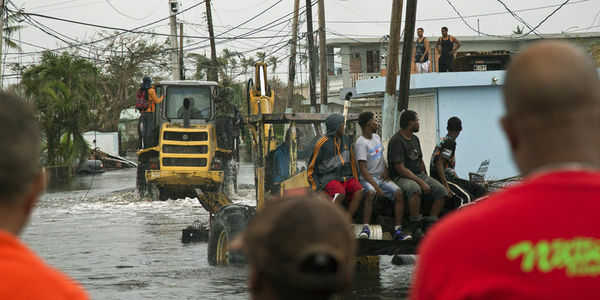 The U.S. territory of Puerto Rico was devastated by Hurricane Maria, with an estimated $30 billion in damage that includes almost total destruction of the electrical grid, devastation for a huge swath of homes and businesses, washed out roads, and disruption to other infrastructure. The island is facing a humanitarian crisis and it doesn't have the capacity to deal with it. Residents of Puerto Rico are citizens of the United States, and like citizens everywhere, they deserve prompt action by their government to help them respond to a natural disaster. Congress must immediately allocate funds to assist with rebuilding and provide relief supplies along with skilled professionals to address the overwhelming humanitarian needs. *Puerto Rico's supply of clean water is at risk: Immediate temporary options for supplying the island with purified water are needed, up to and including the use of purification systems on board military vessels. *Puerto Rico's electrical grid needs supplies and skilled workers to get up and running, supplying power to hospitals and the homes of people in dire need of electricity. *Puerto Rico needs reliable food supplies while communities get back on their feet. *Puerto Rico's residents also need access to medical care in clean facilities to prevent the outbreak and spread of disease and manage injuries. It's up to Congress to do the right thing for our fellow Americans! An island-wide blackout just hit Puerto Rico, affecting more than 3 million people who are still struggling to recover from Hurricane Maria in September. Congress must act now.